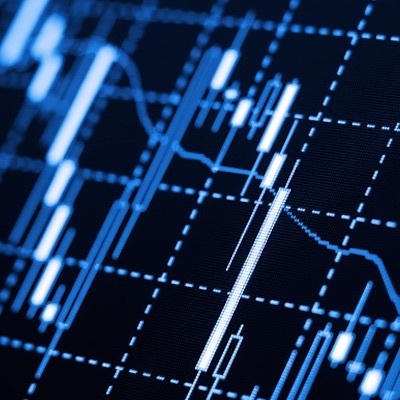 Market movements are not random, but can be subject to outside forces and even manipulation. While there are many who say they can predict the movements of the market on any particular day, there are fewer that can do it with a better track record than what would be achieved by flipping a coin. For economists that’s not cynicism, but conventional economic theory. The theory holds that movements in the market are entirely random, with no possibility of predicting movements at a rate better than 50 per cent. However things are not always as they seem, and certainly not as they should be. Numerous scientific studies have shown that stock market prices are in fact not random, but can actually be, often all too easily, manipulated. One particular method of ‘tricking’ the market is through the cyber universe that is social media. A couple of past events demonstrated not if social media impacts investment markets, but the extent to which they do. 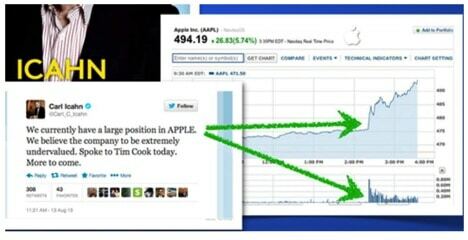 On August 13th 2013, billionaire Carl Icahn, of Icahn Capital Management, announced his Apple position over Twitter with the accompanying comment of it being significantly undervalued. Within seconds Apple stock spiked and within minutes gained $17 billion in market cap. Then on May 28th 2016, there was a devastating train collision in Maryland, which prompted locals to start tweeting about the incident. Records show that within a 90 minute time span, the stock of the transportation proprietor, CSX Corp, plummeted by $500 million in market cap. These tweets may or may not have been made to intentionally manipulate the markets, but on April 23rd 2016, the same pattern occurred, only this time deliberately. In this case, the Associated Press was hacked by the infamous Syrian Electronic Army. They sent shockwaves through newsrooms by announcing on Twitter that there had been two explosions in the White House and President Obama was injured. Almost immediately the ramifications of this news was felt on Wall St. The Dow Jones Industrial Average slumped by 143 points and caused the world’s most referenced stock index to lose $136 billion. This happened all within the few minutes before the announcement was debunked as AP reported that its Twitter account had been hacked. The market promptly rebounded, almost exactly to where it was before, as traders jumped on to the next being scandal or boardroom hi-jinx to float through their twitter news feeds. Each of these events strikingly indicate the significance, and the danger, of social media and the impact that it has on capital markets. The issue at its core is that social media provides a constant flow of news in a world that can be impacted by the click of a mouse. The information that is coming down the news feed can come from anywhere, viewers are not necessarily scrutinizing the information that is coming though in terms of whether the source is reliable. How is it getting there? Has the information been confirmed? And does the poster potentially have an alternative agenda? Although the Syrian computer hacker’s agenda may have been far from wholesome, the underlying problem and the real reason why they were successful in destabilizing the market is due to the propensity of high frequency trading, or HFT for short. HFT uses automated trading to do most of the buying and selling. Programmers have been able to develop complex formulas that weigh up a bulk of considerations that if sufficient, will then buy and sell millions of shares in company stocks within split seconds. 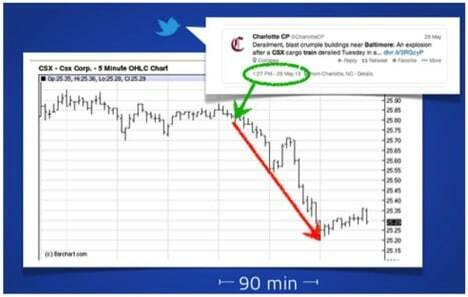 These automation tools use social media updates (most significantly Twitter), incorporating phrases that reference corporate mergers, links to SEC releases and other ‘red alert’ business news terminology into their algorithms. Not only that, but more recently these tools can now give a determination to the severity of the news item, identifying really awful or game changing news from select sources such as AP’s twitter account. Keywords such as “White House”, “Obama” and “explosion” are siphoned into a computer language program when they appear on a Twitter feed that has been identified as reputable, which then triggers a wholesale sell off of company shares. Considerably impacting the randomness of the markets, social media makes the cause and effect relationship between news and market movements that much more direct and immediate. Bad news has and will always be broadcasted, but now it’s unnerving to think what kind of power it can wield, even it only alters the market for a few minutes and even if we try to ignore the additional threat of hackers and misplaced passwords. Actually it is better for forex trader to keep them update with market news. It is true that no one can manipulate this worldwide market. But, due to many economic crisis, political events currency price will move or can change. Also, you can predict the price movements from this market news. You can get daily news and weekly overview of forex market from ECNCAPITAL, they are reliable for forex trading.